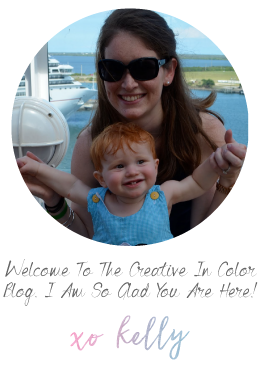 This is a bit of a long overdue blog post because it is not really new news. Perry has been "sleeping through the night" consistently for a while...really he was going between 6-8 hours at a time at night starting at about 6 weeks old. 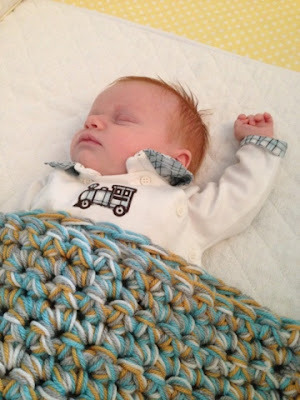 I say this quietly and humbly because I know not all babies are quick in learning this skill and I know it is not that I have some kind of mommy superpower that has caused it (well unless you call the miracle blanket a superpower). Perry is a snuggler and loves (I mean loves) to be swaddled up tight. The other evening I was holding him and he proceeded to burrow his face between my arm and chest and took a little nap. We should have taken a picture (after we checked to make sure he could breath in that position)...I know it looked ridiculous. He has been an awesome sleeper at night. I looked back at my nursing diary (aka note on my iphone) today and he dropped to just one night feeding at about 3 weeks and then dropped to no night feedings (that is if you consider 4:30-5 am morning) at about 6 weeks. Nowadays we feed him one last time about 9:30 at night and don't hear from him again until 5:30-6 in the morning. Still early...but I'll take it! That schedule should continue to work out good once I head back to work next week (topic for another day). We finally moved Perry to his crib about a week ago and he has done great. We have been sleeping upstairs too...it is an awful long way from the master bedroom to his nursery in our house. One of these days we will move ourselves back down stairs, maybe once we breakdown and buy a video monitor. Baby steps. Okay, enough words. 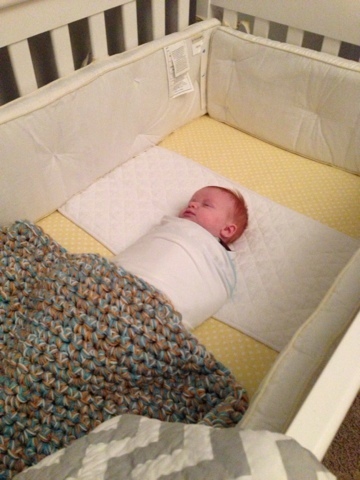 Here is our sweet little boy in his crib. It has been fun to start utilizing his nursery more.